Looking for the warmth and comfort of a traditional wood fireplace? We carry a large selection of Freestanding, Insert and Wood Fireplaces. Give us a call, we'll be glad to help you out. ﻿Looking for a great alternative to traditional electric heat? Try a Natural Gas Stove. 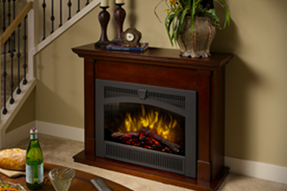 We carry a large selection of Freestanding and Insert Natural Gas Fireplaces. Give us a call to find out more. Looking to add the ambiance and charm of a traditional wood or natural gas fireplace without the need for costly installation and venting? Give us a call to discuss our Electric Fireplace options.